The Call of Duty World League is back in Dallas for the first event of WWII. After a nearly four-month offseason, the Call of Duty World League is back. The first open event of the WWII season will happen deep in the heart of Texas, as the CWL Dallas Open kicks off on Dec. 8. There will be around 200 teams competing in the season-opening offline event, with all but 16 of them having to fight through the grueling open bracket. The 16 pool play teams were determined through CWL pro points, which were earned through GameBattles matches and weekly online CWL 2K tournaments. 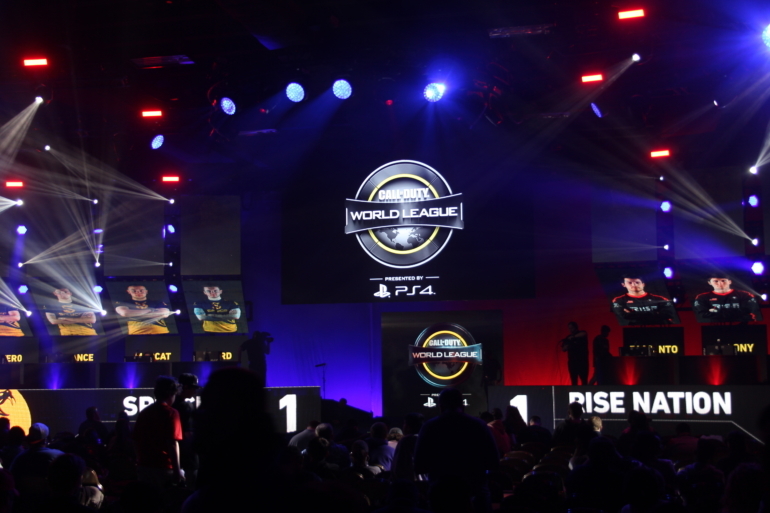 Pool play teams were taken from the three major CWL regions: North America, Europe, and Asia-Pacific. The 16-team group stage will be comprised of the top 10 teams in the pro points standings in NA, the top five in EU, and the top team in the APAC. Unlike the open bracket where teams were seeded based off their pro points total, regardless of region, pool play seeds were determined by a random draw. The only teams not included in the draw were the top three NA teams and the top EU team, who were all first seeds in their respective groups. These are the pools for the CWL Dallas Open, and the roster for each team. The gigantic double-elimination open bracket will feature some incredible talent in Dallas. With experienced teams like FaZe Clan, Echo Fox, Next Threat, and the newly-acquired SoaR Gaming roster missing out on pool play, there will be no shortage of excitement in the open bracket. For the majority of open bracket play, teams will play best-of-three series. When teams reach the last few rounds of the bracket, all series will be best-of-five—a much preferred format among the majority of pro players. The four teams that survive the open bracket without a loss will be slotted into one of the four pool play groups for round-robin play. In addition to the four undefeated teams, the final four one-loss teams in the open bracket will advance to the the first round of the championship losers bracket. Update Dec. 7 1pm CT: The official open bracket for CWL Dallas has been released. There are three different gametypes in the CWL for WWII. The first in every series is Hardpoint, a gametype where teams earn points by occupying a designated area on the map when the other team is not. Each area lasts for one minute before switching. Teams can win by reaching 250 points first or reaching the 10-minute time limit with more points. The maps played for Hardpoint are Ardennes Forest, Gibraltar, London Docks, and Sainte Marie du Mont. The next and most popular game mode is Search and Destroy, a gametype very similar to Counter-Strike. Each player gets one life in each round while one team tries to plant a bomb at one of the two bomb sites. Offensive teams can win the round by killing all of the opposing players or having a planted bomb detonate. Defensive teams can win the round if they kill the entire opposing team, but they also can win if they defuse a planted bomb. The gametype is played in a best-of-11 series in competitive, so the first team to win six rounds is the victor. Four maps are played for Search and Destroy: Ardennes Forest, London Docks, Sainte Marie du Mont, and USS Texas. The final game mode is Capture The Flag, a classic first-person-shooter gametype. Teams can gain points by grabbing their opponent’s flag and returning it to their own base across the map. Ardennes Forest, Flak Tower, and London Docks are the three maps played for CTF. This event will feature a $200,000 prize pool, but the money is also complimented by a large amount of pro points. The winning team will receive 100,000 points and every player that places within the top 64 will receive a minimum of 1,000 CWL pro points. The favorite for this tournament is OpTic Gaming, the defending Call of Duty World League Championship winners. With an all-star roster featuring some of the most talented players in CoD history, OpTic won the $1.5 million tournament to cap off Infinite Warfare. And to start off the franchise’s return to boots-on-the-ground combat, OpTic were victorious in the first two CWL 2K tournaments of WWII. Many other teams have a great chance to take home the first title of the season, though. Teams such as Luminosity, Splyce, eUnited, and Team Kaliber have shown that they’re more than capable to compete with the best so far in the early stages of WWII. One of the most interesting storylines of the young WWII season has been the lackluster play of FaZe Clan. The uber-popular team made roster changes prior to the season, swapping out Enable and Peirce “Gunless” Hillman for Preston “Priest” Greiner and James “Replays” Crowder. Many fans questioned the change when it was made due to Priest’s inexperience in major boots-on-the-ground events and the fact that Replays retired and served as an analyst/coach for FaZe before his return to competitive play prior to the 2017 CWL Championship. FaZe has failed to finish in the top 16 in any of the four 2K tournaments, but they look to turn it around when they arrive in Dallas. The broadcast will begin at 3pm ET on Friday, Dec. 8. Saturday has the same start time while Sunday’s action kicks off at 11am ET. All games can be found on MLG.tv, as well as Twitch.